Mermaids & fox, on a plane. Started with the second mermaid now, this one’s leaning on the anchor, as yous can see, obviously. All freehand once again, as all of this piece going to be. 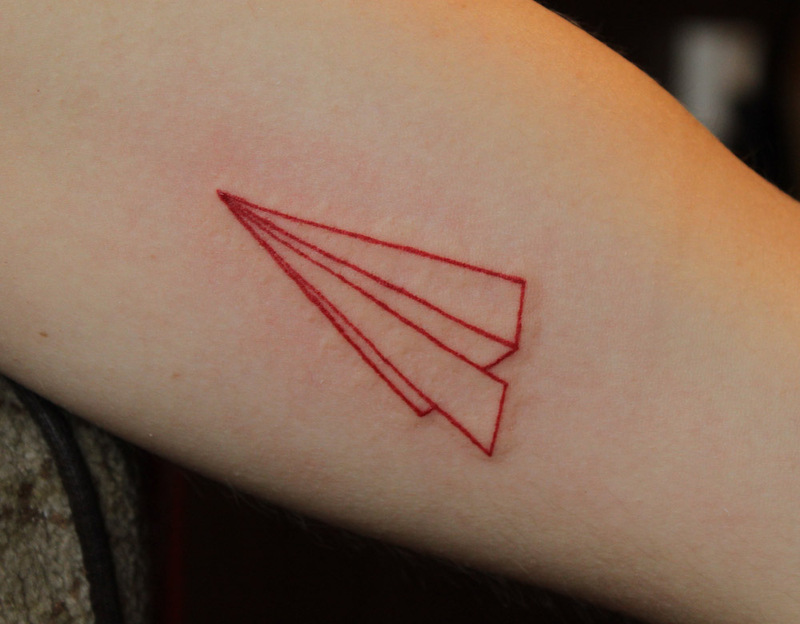 A lovely paperplane. Owner is really into the planes, so it’s a spot on. 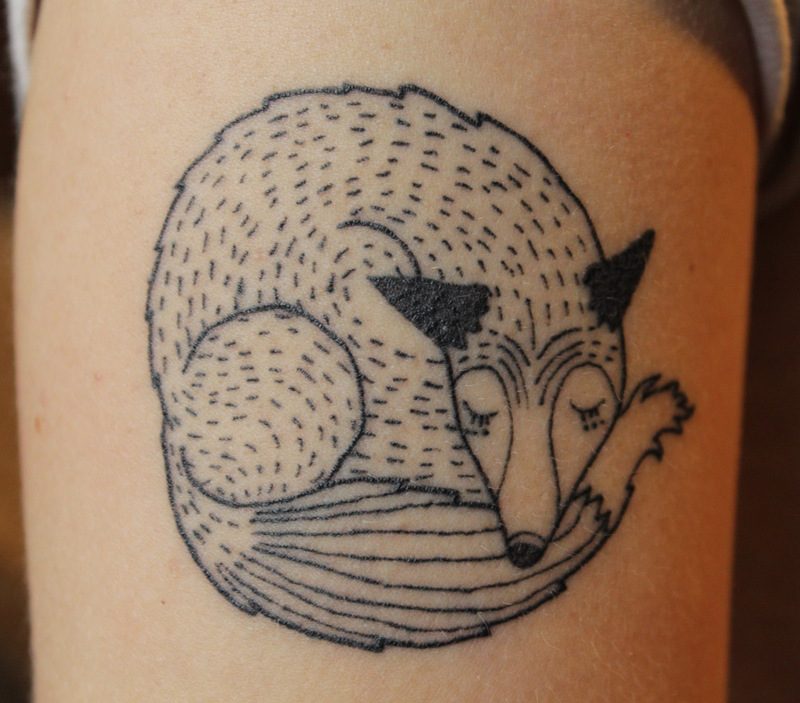 And a fox. For a gal, who really digs them creatures. Spot on vol2. Been working on a lot of other designs too, hopefully shoving the ink in with them soon enough. And having a lot of new ideas for t-shirts, trying to make a new brand in the next few months. Will see how it goes. Also, discovered a quill pen, ink and watecrcolors for myself lately, trying to work on those as well. This entry was posted in 2011, arms, black'n'gray, freehand, work in progress and tagged anchor, cover-up, fox, mermaid, paper plane, sea, sleeping. ← More ladies. And a lotus.